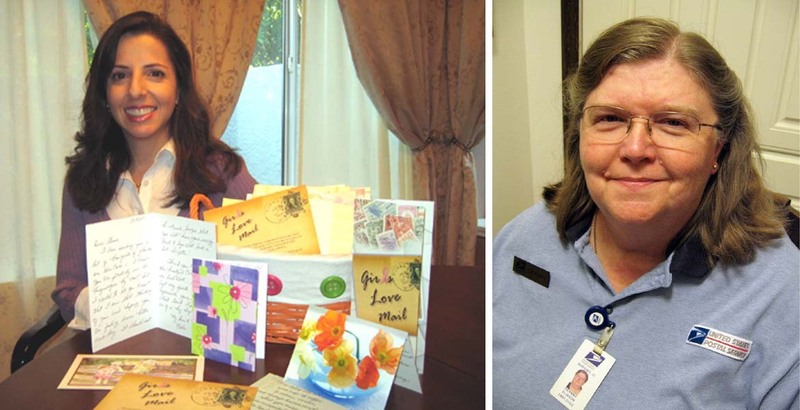 Left: Gina Mulligan of Folsom, CA, founded 'Girls Love Mail' so that letters of encouragement go to women diagnosed with breast cancer. Right: Retail Associate Deanna Eliason loves providing outstanding service to customers at her Post Office in Marsing, ID. This edition of Your Postal Podcast showcases employees sharing why they love their jobs. You'll also hear a California woman's inspirational story offering heartfelt messages to thousands of other cancer survivors sparked by a message she received from a total stranger. The podcast closes with a roundup of recent Postal Service news. Click here to read a transript of this podcast. You can also access Your Postal Podcast on your mobile device at YourPostalPodcast.com/mobile.